The College of Education for Humanities sciences, Tikrit University publish JOURNAL of Tikrit University OF Humanities (JTUH) for the dissemination of original research in all fields of Humanities. The journal aims to disseminate the latest development and achievements in scientific research to the world’s community. To ensure quality, submission of manuscripts to TJHS shall be subjected to peer review by an international board of distinguished reviewers. The journal is published and in Arabic or English to strengthen international exchange in academic research across the globe. The journal provides the forum for high-quality research communications and addresses all aspects of experimental observations based on theory and applications. The journal welcomes contributions from all who wishes to report on new developments and latest findings in human and social sciences'. The author(s) guarantee(s) that the manuscript has not been submitted for publication to another journal and it will not be published elsewhere in any language without the consent of the copyright owner, Tikrit University, that the rights of third parties will not be violated, and that neither college of Education for Humanities, Tikrit University nor the publisher will be held legally responsible should there be any claims for compensation. Authors wishing to include figures or text passages that have already been published elsewhere are required to obtain permission from the copyright owner(s) and to include evidence that such permission has been granted when submitting their papers. Any material received without such evidence will be assumed to originate from the authors. Papers must present scientific results that are essentially new. They have to be written in English using British spelling throughout. All manuscripts are subject to peer review. Authors should submit their manuscripts to the Editorial Office online to facilitate even quicker and more efficient processing. Manuscripts that are returned to the authors for revision should be sent back within the deadlines; otherwise, they will be considered withdrawn. Rejected manuscripts will not be returned to the authors. Papers that do not conform to the journal norms may be returned to the authors for revision before being considered for publication. The author is responsible for the accuracy of the references. TJOHS publishes original research articles, invited review articles, technical notes and technical reports that add significantly to the body of knowledge concerning the human and social sciences. 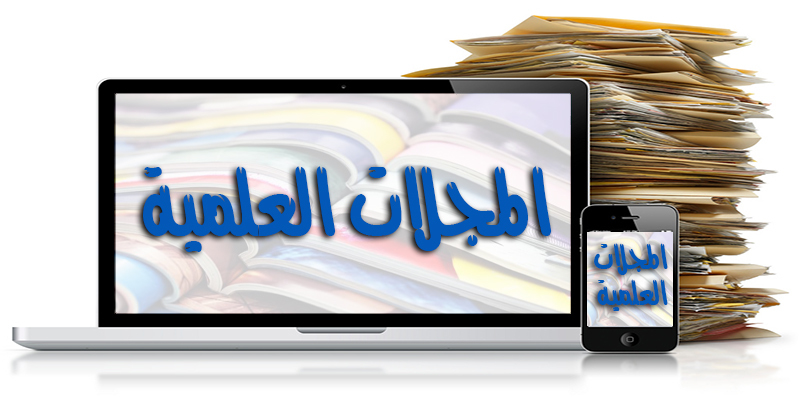 1-Research Articles: A research article is a regular article which aims to present new findings. Manuscript of Full-length Original Articles should include an abstract (Purpose, Methods, Results, and Conclusion), Introduction, Experimental Methods, Results and Discussion, Acknowledgment, References, Figure Captions List, and Tables. Graphics, images, and diagrams should be submitted separately in a high-quality original format. 2-Letters to the Editor: A letter to the editor is a short article which aims to present new findings that require fast publication procedures. 3-Technical Notes: A note is an article (regular or short) which aims to present rather new findings. Technical notes do not exceed four printed pages (including figures and tables). They are the appropriate form for new findings, original preliminary results, comments on papers published in the journal, or important new records. A Technical Note should not include an abstract. Technical notes will be reviewed as normal papers. 4-Comments: A comment is a short article that makes comments on another article already published in this Journal or replies to a comment. 6-Lecture Notes: A lecture note is a short review article. 7-Selected Conference articles: Upon an agreement with a conference committee, selected papers may be published by the Journal in a special section. In this case, the editor will appoint in collaboration with the conference committee guest editors. Manuscripts should be submitted using the Editorial manager as the Online Manuscript Submission and tracking system. The manuscript must be prepared using Microsoft Word. A PDF file derived from Word could be used at the initial submission. However, the source files (MS word file) of the revised manuscripts are required, PDF files are not anymore accepted at this stage. High-quality Figures and Tables along with the legends and captions can be provided separately, or at the end of the text, however, authors should indicate the place of their insertions within the text. A Cover Letter should be submitted as a separate file, to clarify how the article will contribute to the scientific knowledge. A Letter was containing authors’ Point by Point responses to reviewers’ comments in mandatory and should be submitted as a separate file along with the revised manuscripts. The title is CAPITALIZED AND SET IN BOLDFACE (Arial 22 point bold). The author’s name(s) follows the title and is left on the page (Arial 12 point bold). Last names should be spelled out in full and succeeded by author’s initials. The author’s affiliation, complete mailing address and e-mail address (all in font size 10 point, Arial), the phone number is provided immediately below the author name. Maximal length of the abstract is 250 words. No literature references should be contained in the abstract. The abstract should briefly state the objective and approach and give a succinct summary of results and major conclusions drawn in one paragraph and single column. Emphasis should be on what was found, not what was done. The author should provide three to six keywords that clearly describe the subject matter of the paper and after the abstract for indexing purposes. The keywords must arrange alphabetically. The manuscript should be double-spaced using A4 paper. The top margin shall be 17 mm. The bottom margin shall be 15 mm. The left and right margins shall be 20 mm. Papers should be written in clear and concise language and consist of major sections and minor sections. Use a normal, plain font (e.g., Times Roman), 10 points for text. For textual emphasis use italic types all that must be in double columns. For indents use tab stops or other commands, not the space bar. Use the table functions of your word processing program, not spreadsheets, to make tables. Tables are referred to in the text by “Table n” (capital T). Place any figure legends or tables at the end of the article. Submit all figures in their original formats and as separate files and kept separate from the text. Figures are referred to in the text by “” (capital F). Indicate the preferred location of each table and figure in the body of the manuscript. Abbreviations should be defined at first mention in the abstract and again in the main body of the text and used consistently after that. A list of symbols should follow the abstract if such a list is needed. Symbols must be written clearly. The international system of units (SI units) should be used. Essential footnotes to the text should be numbered consecutively and placed at the bottom of the page to which they refer. A conclusion section must be included and should state on the findings of the reported work. There shall be no discussion about results or analysis in this section. An acknowledgment section may be presented after the conclusion if desired. This section shall be kept brief, acknowledging the support rendered by individuals, departments, and organization. References should be cited in the text by name and date and page number. TJOHS 2018 EndNote style available. If you want to use EndNote Program please click here to download EndNote style file. Agyekum, Kofi (2004) 'Ntam reminiscential Oath Taboo in Ankan'. LANGAUGE IN SOCIETY, 33: 317-342. Allan, K. (2001) NATURAL LANGUAGE SEMANTICS. Oxford: Blackwell Publishers. Alexander, R. (2003) Global Languages Oppress But Liberating Too, in Christian Mair, THE POLITICS OF ENGLISH AS A WORLD LANGAUGE : NEW HORIZONS IN POSTCOLONIAL CULTURAL STUDIES. Amsterdam: Editions Rodopi, 87-97. Tahseen TA (2013) Performance prediction for forced convection in an equilateral triangular channel based on intelligent control. 1st International Conference for Engineering Researches Baghdad, Iraq. Middle Technical University: 10-17. Salih, A. M. (2002) IRAQI ENGLISH EFL LEARNERS' USE OF ADDRESS FORMS. Unpublished M. A. thesis: Tikrit University, Iraq. Davids J. and Smith, D. (1996) Analysis of constant-velocity joints under high torque. HMSO: London, 1-8.